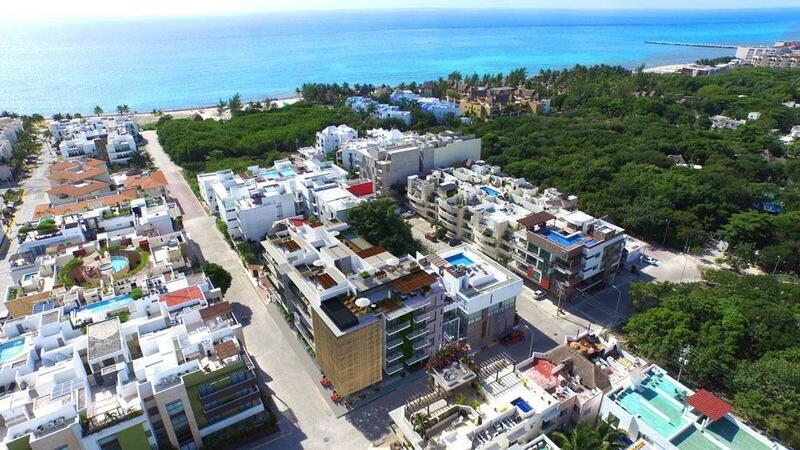 Located in the main street of the growing town of Tulum; in the exclusive hotel zone and just a few steps from the beach; the harmonious union of the nature and the contemporary architecture. An unique development designed to integrate the exuberant vegetation and all the amenities: an exclusive spa, 3 levels gym, amphitheatre, access to beach club, art walk managed by art director especialized in mayan culture heritage and a Full Market with more than 60 commercial premises, restaurants, boutiques and exclusives stores, located on the ground level of each of the 4 independent towers. Full Market, Art Walk, Roof top, Solarium, pool, Sky Bar, Gym, Spa, outdoor cinema, Restaurants, Concierge 24/7, Administration and Hotel service.